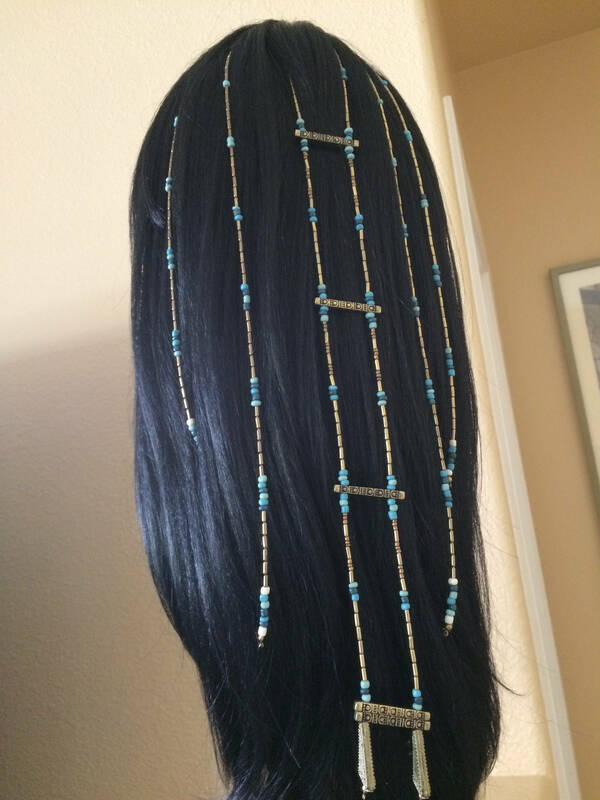 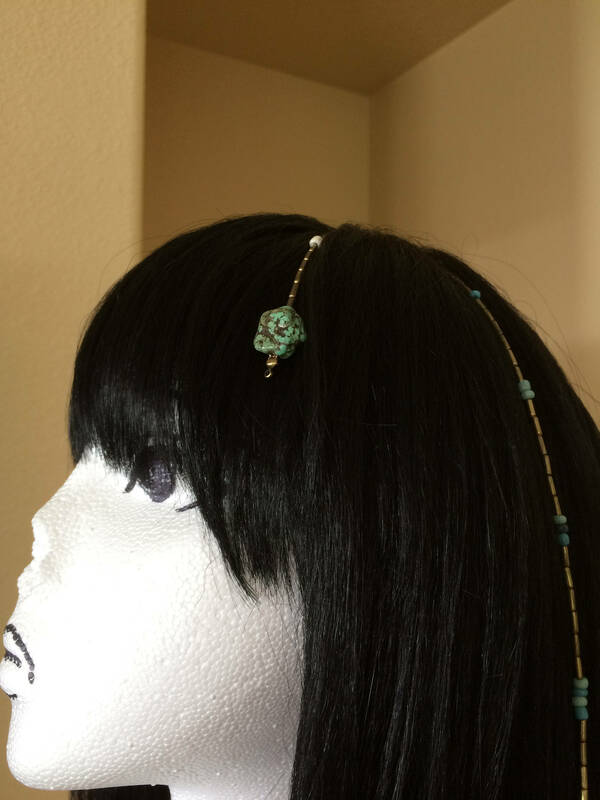 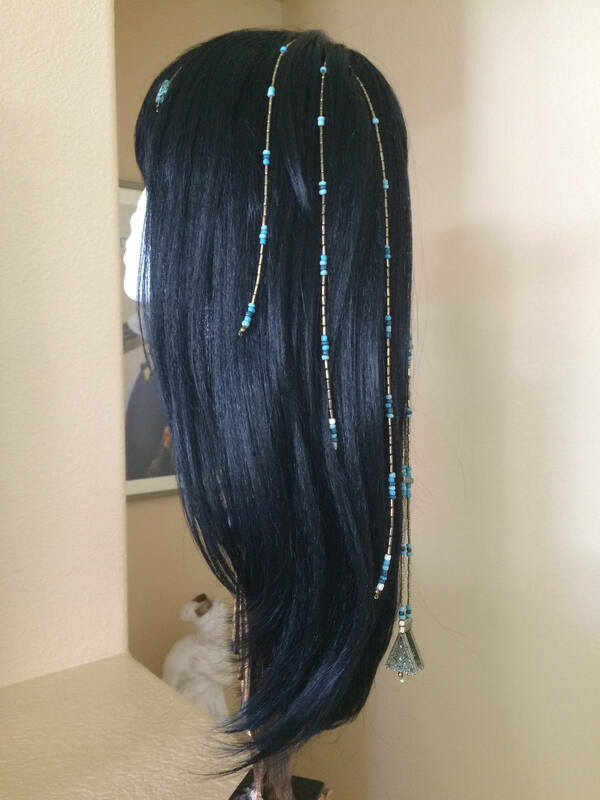 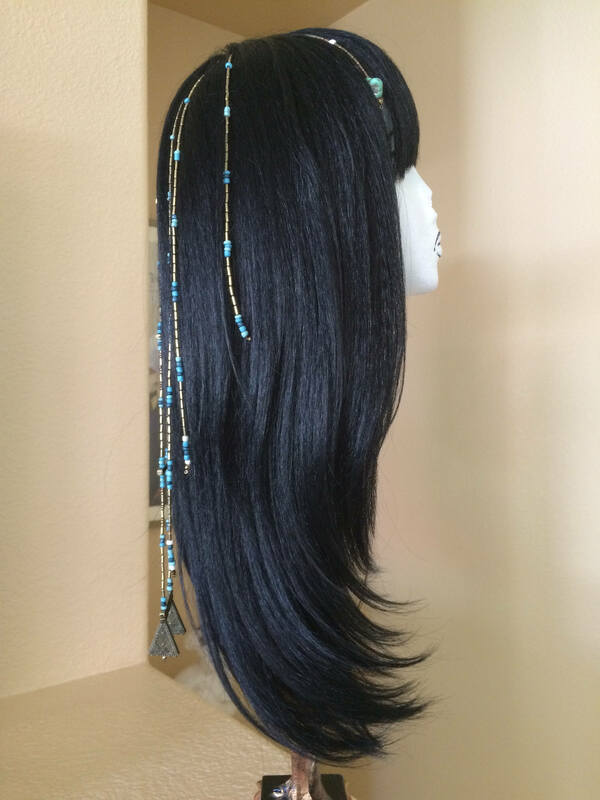 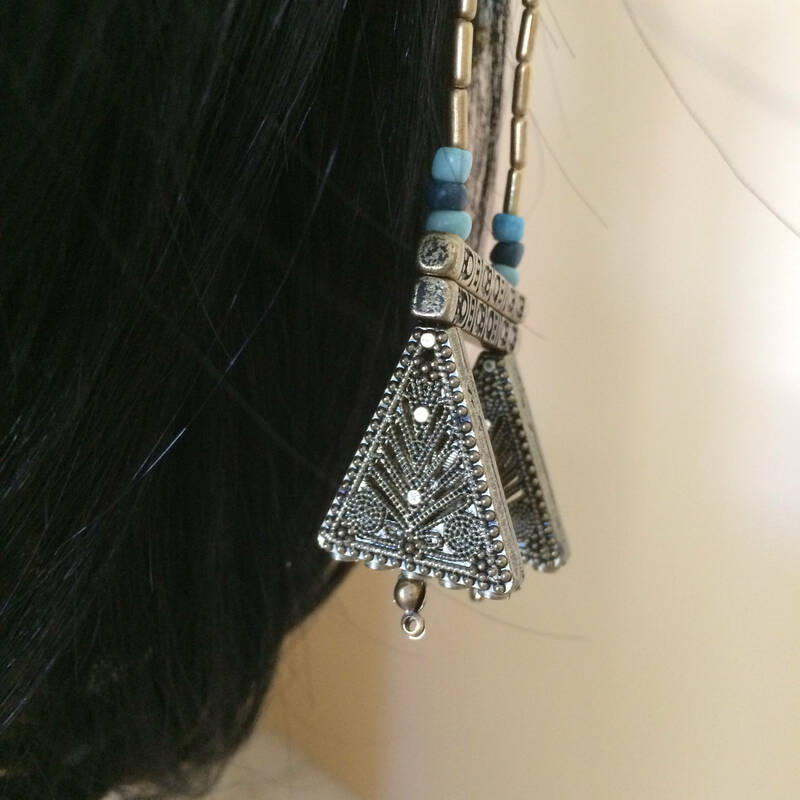 This is a black wig that has been embellished with beads of turquoise,ceramic and metal beads. 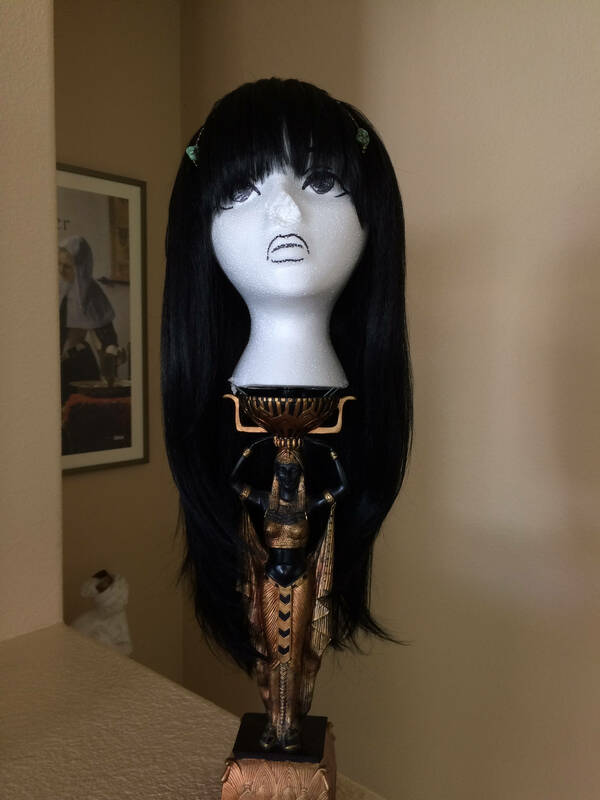 The wig is Cleopatra /Egyptian style and is 22 in. 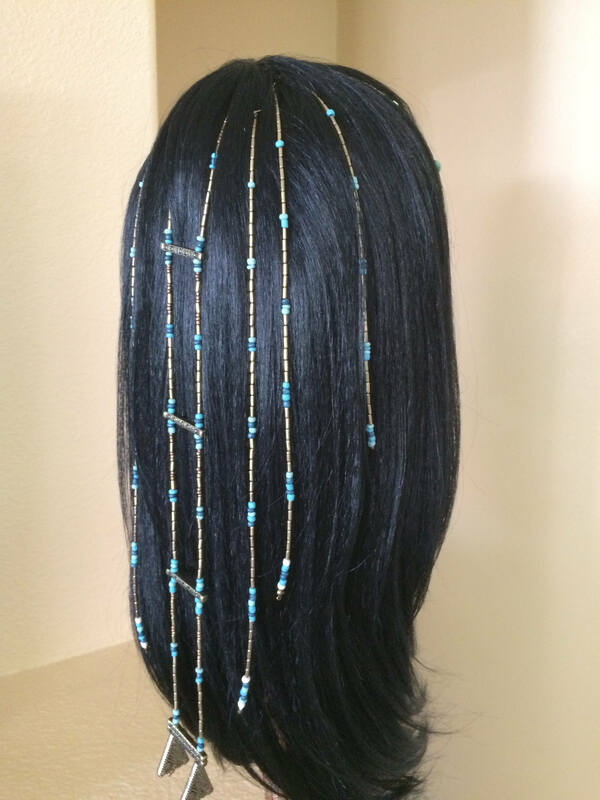 in length from the crown. 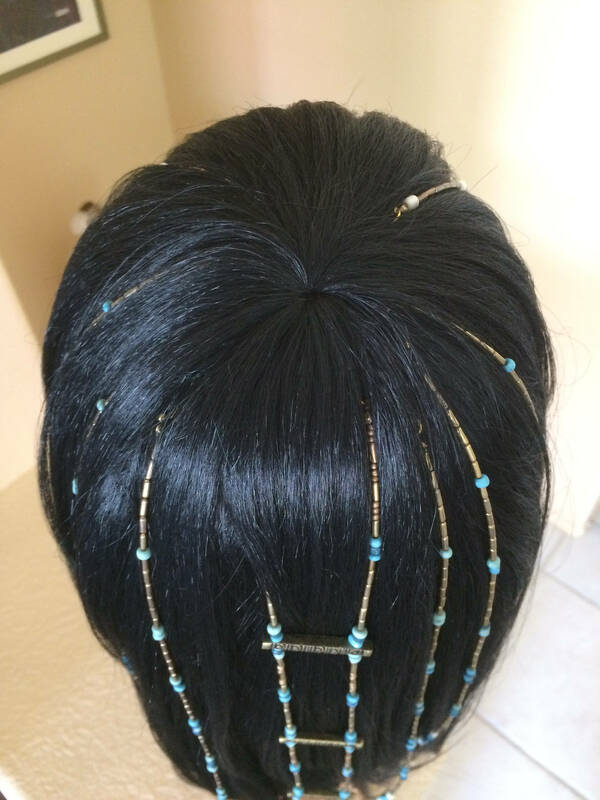 The wig is fitted with adjustable straps. 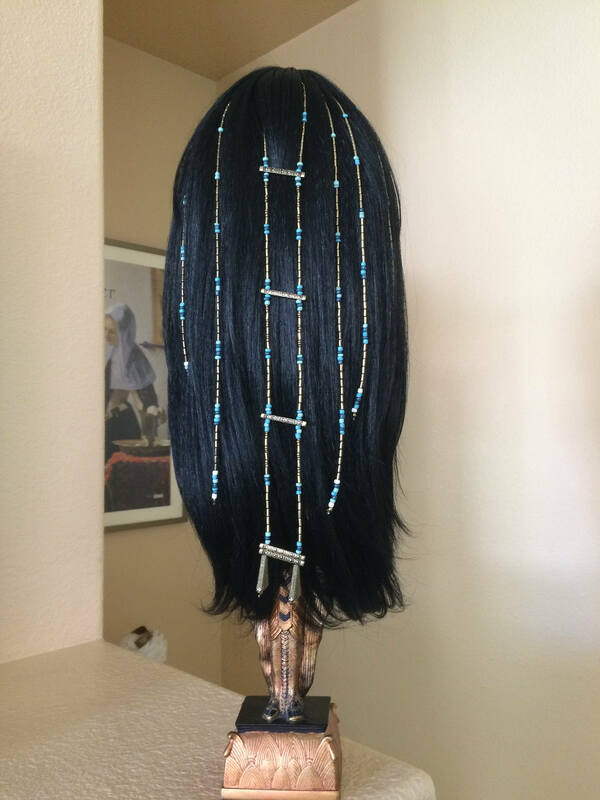 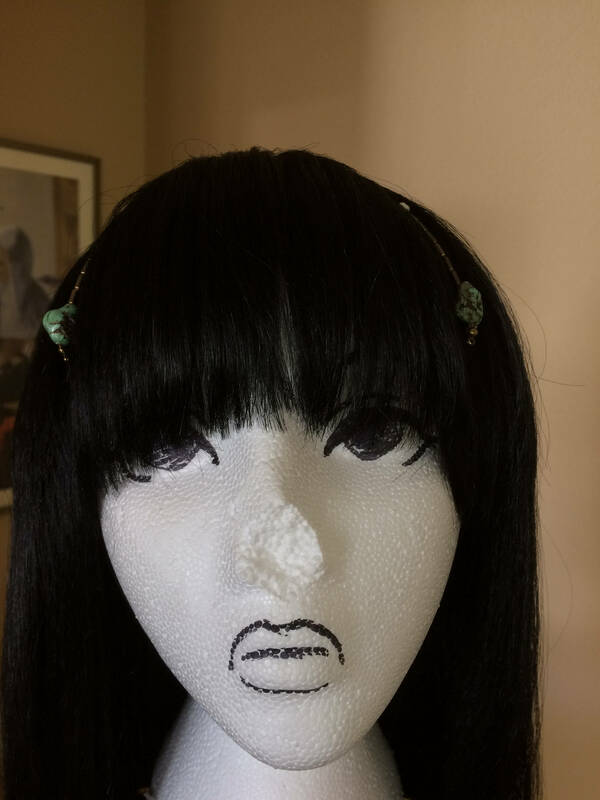 This is a very unique,one of a kind item.The wig can withstand heat up to 400 degrees Farenheit.